Click on the link in the news article to get started. All kids will get to participate, but must have the permission slip signed. 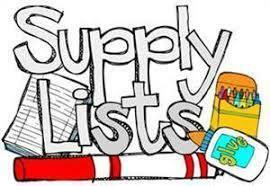 You can find the link to supply list by grade level by clicking the link above! Please click to see the Classroom Sponsors for the 2018-19 school year.